Would you like to know which are the biggest tea drinking countries in the world? There’s no doubt about it; tea and coffee rule the world in terms of social non-alcoholic beverages. Some countries consume more coffee than tea, and others the opposite. But in some regions this distinction is not quite true. In Eastern Europe for instance, consumers do not necessarily discriminate between the two, and being a coffee consumer there doesn’t annul you as a tea drinker. Moreover, in some countries the culture surrounding coffee and tea consumption is equally or almost equally important. The competition between tea and coffee has been going on since nearly the beginning of modern human history. From animosity to healthy rivalry, this contest has developed in many fields: consumption, market, production, quality, exclusivity, variety, popularity and benefits. Some argue that drinking coffee damages your health and that tea is highly advantageous; others think just the opposite. Who knows, maybe having one or the other does have to do with health. In fact, you could check out our list on Country-by-Country Life Expectancy: The World’s 15 Healthiest Countries and find out if tea or coffee consumption is high or low in those salubrious territories. Iced or hot, warm or cold, bagged or loose: regardless of the way you like to have your tea, there’s no denying the relevance this delightful drink has in our lives, at a physical level as well as at a spiritual or social level. Of Chinese origin, tea was introduced approximately in the 10th century BC, as the first written records of its existence demonstrate. This was originally a medicinal drink that made its way into the Western world around the 16th century AD when Portuguese merchants had the first taste, and then in the 17th century it became widely popular in Britain. Though incipiently Asian, as evidenced in the ancient tea ceremonies practiced in the East Asian cultural spheres, tea’s history is inseparable from Britain’s history. In fact, you will see that many tea-consuming countries are former colonies of the British Empire and this is hardly coincidental. Nevertheless, you will be widely surprised when you take a look at our list, for the British have been overthrown from their top post of tea drinking dominance. In fact, the stereotype that connects Britain and tea proves to be more culturally and historically based than statistically supported today. Compiling this tee drinking list was no easy task, for apparently there are many ways in which you can rank tea consumption around the world. Some figures measure tea in liters; that is to say the tea in the state of its actual consumption. 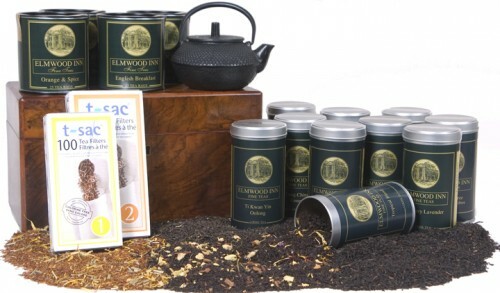 Other figures measure the tea in its dry form in ounces or pounds. On the other hand you could take into account the yearly tea consumption of a country in the last year or an estimated yearly average consumption. Finally, others chose to rank the biggest tea drinking countries in the world in terms of retail value, a method by which China comes on the top thanks to its bulging population. What we thought clearly demonstrated who are the biggest tea drinking countries in the world is the average annual tea consumption of each country (in pounds per person). Last year’s figures for example, only show tea consumption of a specific moment in time, but don’t paint a whole picture properly. I’m sure that by know you are already holding a cup of tea in your hands, warming them up, enjoying the smell and the taste of the leaves… so let’s not keep you waiting any longer. Let’s take a look at the countdown to find out which are the biggest tea drinking countries in the world.